Looking for the best brand for grow lights of 1000w, 600w, 400w, 300w? If so, we’ve compared and reviewed all Top Best Grow Lights For Sale categorized in watts power. You should do your research and know what you’re goals are, When it comes to purchasing an LED lighting unit. What is the wattage [watts]? How many Watts per Square Foot for Lighting? The watts or wattage is a measure of the amount of energy used by bulbs. It is the rate at which energy is generated or consumed and hence is measured in units (e.g. watts) that represent energy per unit time. For example, when a light bulb with a power rating of 100W is turned on for one hour, the energy used is 100-watt-hours (W·h), 0.1-kilowatt hour, or 360 kJ. This same amount of energy would light a 40-watt bulb for 2.5 hours, or a 50-watt bulb for 2 hours. LUMENS is the measure of brightness provided by a light bulb (the higher the lumens the brighter the bulb). With energy efficient bulbs being highly desired in the markets, the most crucial step in understanding the amount of light generated by such energy saving light bulbs like CFL and LED bulbs is to understand the Lumens. This is especially important since as per FTC 2012 regulation, light bulb labels are required to emphasize a light bulbs Lumens as the standard of measure for bulb brightness instead of the Watts. Different models of grow light of the same wattage emit different lumen of light. in this guide, it will be easier for you to compare them on basis of lumen. First, you need to understand that all watts are not created equal (will actually a watt is a watt). Watt isn’t equal is how manufacturers label their units. You should look at the watts a unit actually uses and not the “watts on the board”. Let’s take for example a unit that has 288 3watt LED chips on the board, 288×3=864 so I have an 864-watt unit right? Nope! You have a unit that is capable of 864 watts if driven to its capacity. When you drive a unit to its max you are going to produce a lot of heat and shorten the lifespan of the unit considerably. So most manufacturers only drive their units to a fraction of that and balance the fine line of performance and reliability. So that same unit that has a board wattage of 864 may be marketed as anything from a 360 to an 800 watt light. The key here is to forget what the name is, look at the actual power draw of the unit. We have compared the grow lights on their actual wattage below. 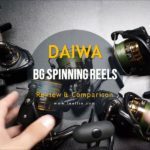 This guide has made a comparison between different LED models of the same wattage on basis of actual wattage and coverage area. covers 4′ x 4′ (1.2m x 1.2m) area up to 5′ x 5′ (1.5m x 1.5m). 1. King Plus: Currently best seller of 1000 watts LED light with 550 customer reviews. 2. Bestva: is a clear winner in these top 4 best 1000 watt LED lights with LEDs Angle of 120°, better lifespan, timer-controlled. 3. HollandStar: Comparatively lesser price but don’t have much reviews/customers. 4. DXG LED: They give free Eye Protection Glasses included in the package which others don’t have. The following table compares top 4 best 1000 watt led grow lights. All emit 380-780nm, have a voltage of 85v-265v, working frequency of 50~60Hz. Check the following table for a quick comparison between best 600w LED grow lights. It is the comparison between actual power [led draws], core coverage area, height above plants [recommended by manufacturer], lifespan and warranty. Apollo 400w: Most popular 400w grow light has 80 LEDs with a mixed angle of 90 to 120 degree light for overlapping coverage to minimize shade or dark zones in the growing tent or enclosure. Gianor 400w: With 3-years warranty, Gianor is the most trusted brand for 400 watts led grow lights. MarsHydro Mars 300w: Have most customers. Have an average Lumen of 4300lu. Worst warranty (1 yr) but cheaper than others. VIPARSPECTRA 300w: Good price while looking at the lifespan and warranty it offers. LEDs Angle is 90°. 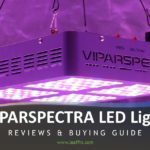 Detailed viparspectra review here. A lot seem to consider them to be the most reliable right now. Runs cooler than the others. Advanced Platinum 300w: Next generation led technology with a surprising warranty of 5 years! The USA-made product with a lifespan of 100,000 hrs. Have 90 Degree Secondary Focusing Lenses! LED grow lights are powerful and can get great yields when used correctly. The distance needed between an LED and the top of the plants varies quite a bit from model to model and from manufacturer to manufacturer. Many things can affect the optimal distance from plants, including the individual size of each LED bulb and the way the manufacturer used lenses to reflect light downwards at your plants! Contact the Manufacturer If Possible – Ultimately when it comes to LED grow lights, the best thing to do is contact the manufacturer to see what they recommend as far as distance from the tops of plants. During different stages of plants’ life cycle, they need a different amount of light. You can control the intensity by changing the height of LEDs above plants. Although LED grow lights run cool, the LEDs available today give off an intense amount of light which is great for yields, but can give your plants light burn if kept too close. Most of Grow Lights are for indoor use only and not waterproof. So do not use the lights in dripping water or anywhere where they will get wet, water and electricity can be a dangerous mixture. Cut off the power when there is a lightning strike or thundering to protect the light. LEDs are very intense and may cause visual color distortion, “spots” or temporary blindness. Wear sunglasses when lights are on. If the fan stops spinning, turn off the light. The working environment of most grow lights is -20~40℃,45%RH~90%RH. Maintain stable voltage to avoid any damaged to the light fixture. Keeping LEDs Too Close Can Give Your Plants “Sunburn” That Looks Like a Nutrient Deficiency! TaoTronics Review: Are these Cheapest LED Grow Lights Worth it?